The Kershaw Storm knife is nice and large with excellent grip thanks to its contoured handle and Trac-Tec inserts. 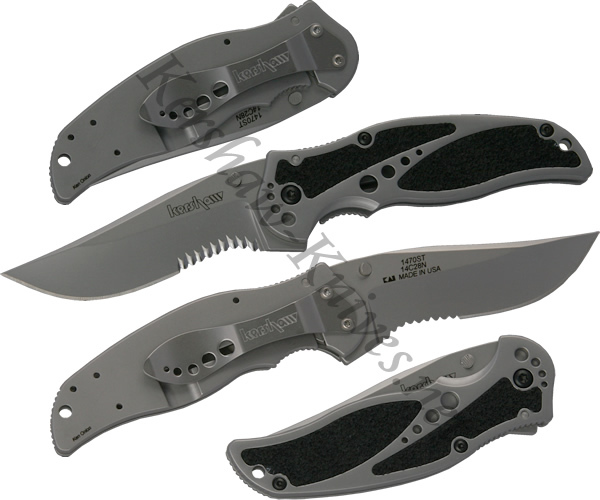 This Kershaw 1470ST model has a partially serrated three inch Sandvik 13C26 stainless steel blade. The knife is opened with comfortable ambidextrous thumbstuds, and it is locked in place with a frame lock integrated into the 410 stainless steel handle. A reversible pocket clip is included with the Kershaw Storm.